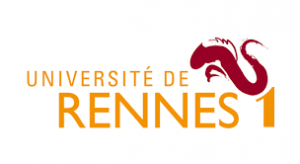 The University of Rennes 1’s Graduate School of Management (created in 1955) is the largest Business Administration and Management teaching pole in the Western part of France. The School is a founding member of the national network of University Business ­Schools, the IAE France network, which comprises 31 select members throughout France. Research programs are supported by the Center for Research in Economics and Management (CREM), the only research center in Economics and Management in the west of France, accredited by the National Center for Scientific Research (CNRS). The University Graduate School contributes towards the development of European studies in Management Science and is an active member of the Academic Council of the European Institute for Advanced Studies in Management (EIASM), and of the Steering Committee of the European Foundation for Management Development (EFMD). The School applies a selective entry process. On average, only one out of ten applications is successful. Before acceptance to the School, all candidates are expected to show a realistic, well thought-through and consistent career plan in addition to their academic achievements and proof of their motivation. The specificity of the program is to combine intensive French language courses with a comprehensive academic program in Management taught exclusively in English. The main aim of the course is to provide students with the essential skills necessary to pursue a career as an International Business Executive. The Master’s program develops students’ capabilities to succeed in a dynamic global business environment wiithin international companies. Tailor-made for future managers, the program arms students with a panorama of up-to-date and indispensable «hard» and «soft» skills in International Management, which will help them incorporate the main steps of the companies’ internationalization, by emphasizing on the interdependence of strategic, cultural, commercial, legal, financial and managerial issues. The program allows students to choose elective topics, depending on their academic project (research or CFA preparation). The program is taught exclusively in English. Students will attend several seminars on financial issues, taught by invited professors and professionals from the private sector, will be given to students. Students will also take 300 hours of French language (100 hours in September, and 100 hours during each semester). The main aim of the course consists in bringing students, researchers and professionals in franchising, retail and service chains together around issues concerning the sector and to generate synergies using a global approach (professions, disciplines and countries). The program lasts 12 months, from September to September and includes about 400 hours of classes and conferences (with a 4-to-6-month internship in a French or international company starting in April). This Master presents several assets among which the following ones: a wide range of industries, international opportunities, a focus on professionalization and multi-disciplinary approach. This Master aims at training Human Resources Managers to work in an English and multicultural context – in France or/and abroad – for small and medium sized import / export companies or major international groups. Classes are taught by French and international researchers associated with practitioners who are all experts in Social Innovations and Human Resources Management. All the courses are designed to be organized with small group dynamics: case studies, role playing and management problem solving.